Well done Gemma - you didn't actually say you wanted to win the stamp set in your comment, so if by chance you're not a stamper, just let me know and I'll pass the prize on to the next lady on the list instead. Otherwise, please let me know your postal address ASAP via the email you'll find in the left hand side bar and I'll pop your stamps in the post straight away. 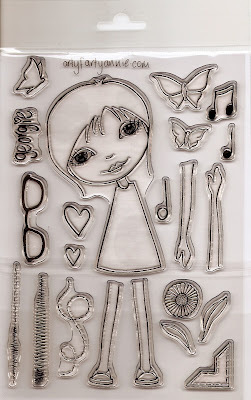 Can't wait to see what Gemma creates with my stamp set - please show and tell on the Artyfartyannie FB page! If you didn't win and you would like a Georgie stamp set of your own, they are available at my Etsy Shop.